Autonomous Region in Muslim Mindanao officials led by Maguindanao Gov. Toto Mangudadatu pose with Interior and Local Government Sec. 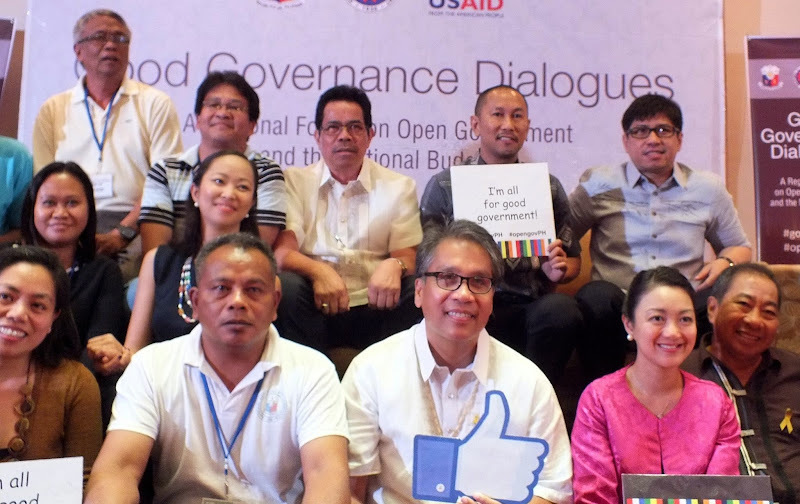 Mar Roxas during the Good Governance Dialogues held in Davao City Thursday. The dialogue attended by local officials and representatives of Civil Society Organizations from different regions in Mindanao aims to deepen the citizen engagement in improving local governance.